Home » Corolle Takes The Party To Paris For 2014! 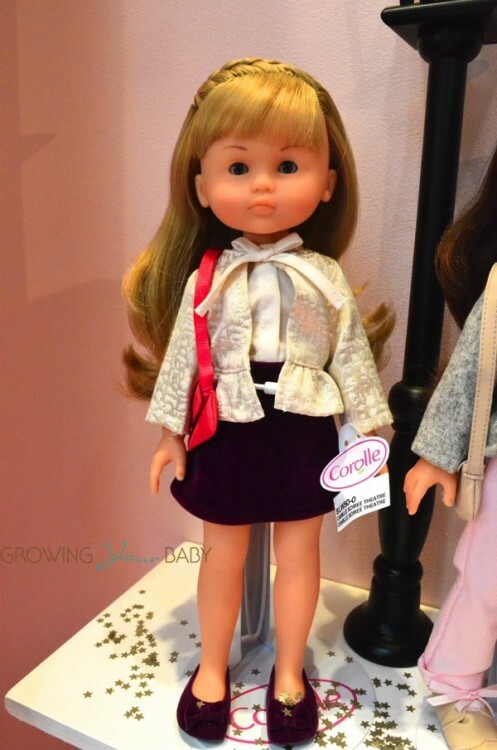 Every year Corolle takes classic doll play to the next level with their beautiful toys and accessories. Last year the team took their design inspiration from the company’s country of origin – France. This year they have continued this theme with their Party in Paris collection. In addition, they have added some new baby gear, new ethnicities and lots of incredible fashions to their line. Earlier this week we toured their booth at Toy Fair in New York City. Here are a few items you can expect to see in stores this year! Perfect for gifting the babi Corolle collection will include three gift sets; Miss Pink Star & Blanket, Pink Mini Miss & Baby Teether and Grenadine Mini Miss & Baby Teether. There will also be a new blue stars print that is perfect for little boys! 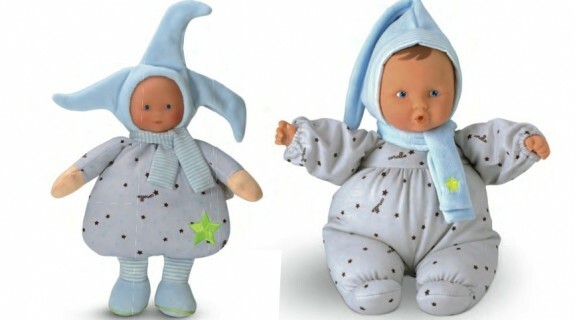 For little ones 18 months + the Mon Premier Bebe Calin line is getting a new addition! 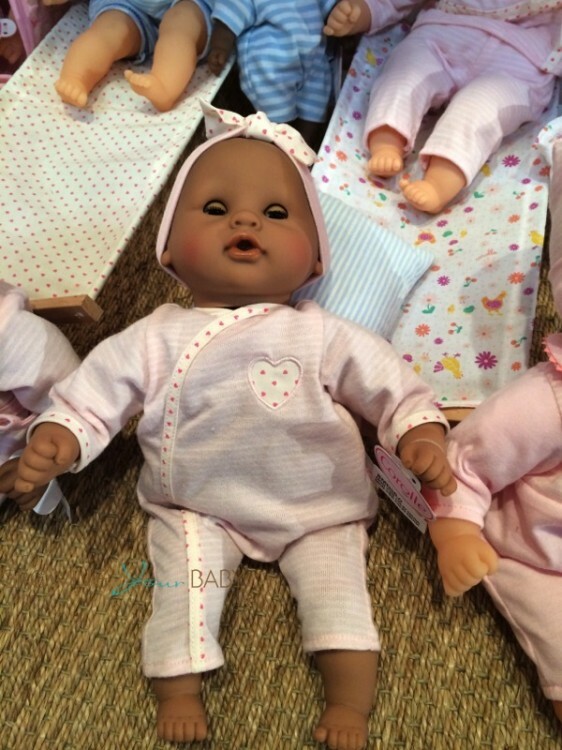 Corolle’s multi-ethnic Calin Maria($45) is the ideal first baby doll for the littlest mommies. 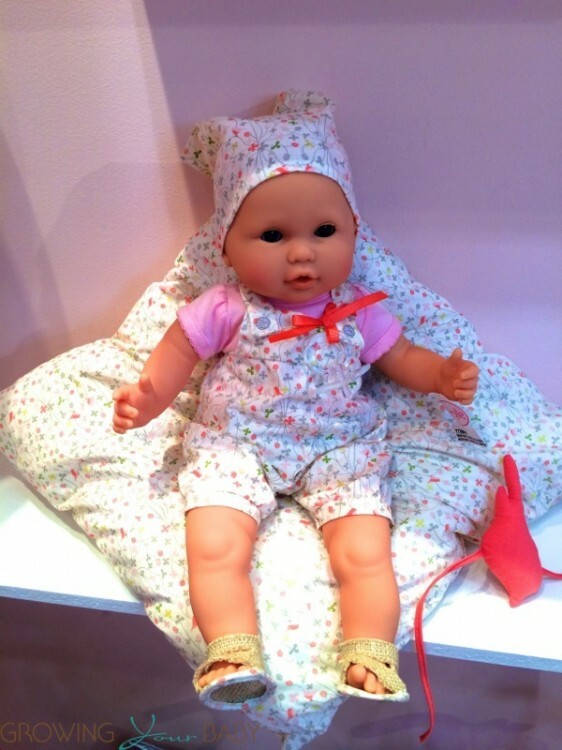 This adorable 12-inch baby doll is just the right size to cradle in a young child’s arms. She has a cuddly soft beanbag body, so she can be posed like a real baby, and supple vinyl skin that is delicately scented with vanilla — a Corolle signature. Little ones looking to tote their babies around can now chose from pink OR blue buggy. But not before they dress them up for a night on the town! 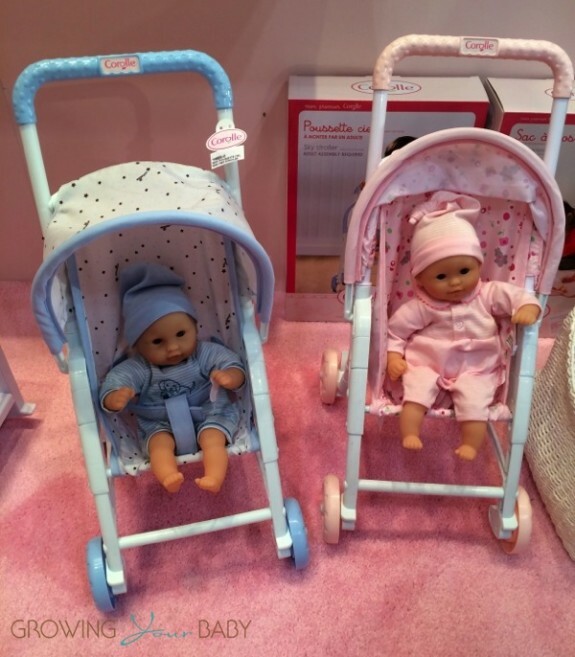 For pre-schoolers (3 years +) the Mon Bebe Classique collection will include a new Canopy Cradle and four new dolls! Corolle Mon Bebe Classique Valentine Baby Doll and Mon Bebe Classique Dodo come in signature Corolle pink with a grey dress (Valentine) and a sleeper (Dodo). 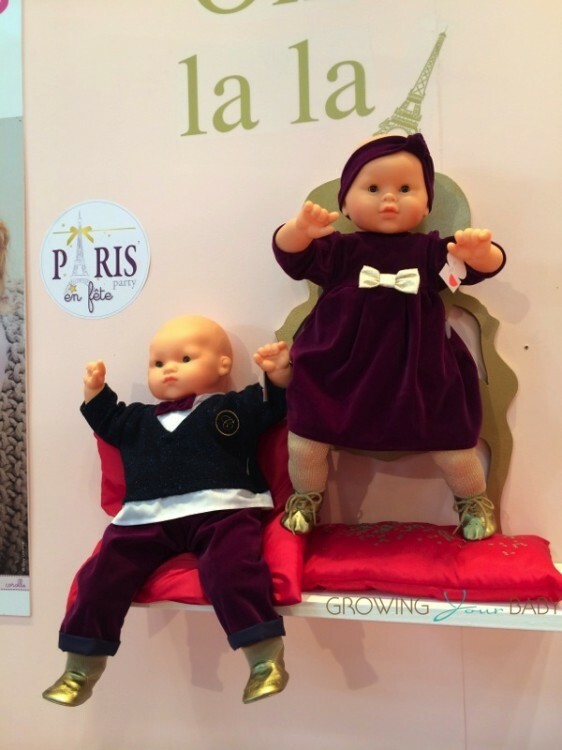 Party in Paris collection for this line is called Mon Bebe Classique Prestige. Dressed in opulent shades of velvet and gold with sparkly accents, these babes are ready for the gala! Mon Classique Graceful Emma Drink & Wet Bath Baby Doll(far right) is a 14-inch all-vinyl baby doll that drinks, wets and loves to take a bath! And because she is anatomically correct, Emma is an excellent potty training aid, too. She is dressed in an undershirt and underpants and comes with her own color-matched potty, pacifier, and feeding bottle. A great gift for little mommies ages 2 and up! Corolle’s Be?be? Classique Happiness: has a soft, huggable body, with blue sleeping eyes and smooth, supple vinyl skin that is delicately scented with vanilla. This adorable 14-inch baby doll is dressed in pink-and white striped one-piece pajamas with matching headband and comes with her own pacifier. 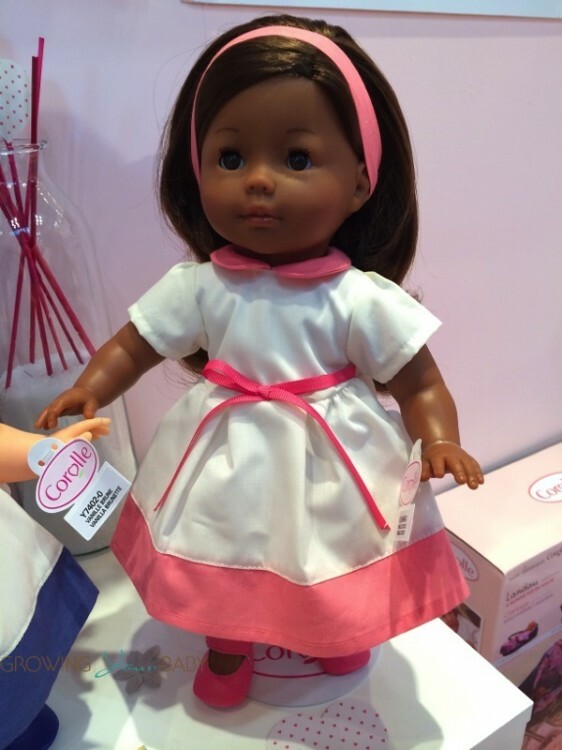 New to the Mademoiselle Corolle line will be the Vanilla Coco Doll. Pretty in a crisp white dress and pink accents, this 14-inch toddler doll has a soft, huggable body and supple vinyl skin. 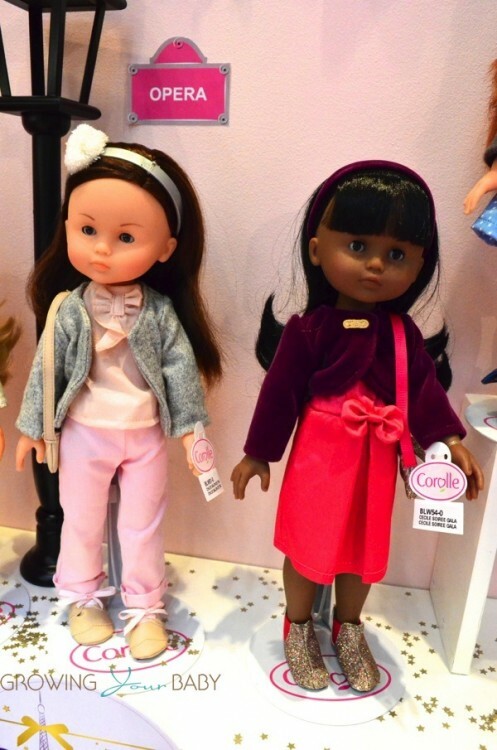 For the creative hair play that young girls love, Corolle’s Mademoiselle Vanilla Coco Doll has long, silky brown hair that can be brushed and styled lots of different ways. Mademoiselle Corolle Coquette Redhead and Brunette Dolls come stylishly dressed. For little girls 4+ the Les Cheries Collection offers more than ever for little fashionistas! Whether you are heading to the beach, out sightseeing or to the theater Corolle has something for you. Corolle’s Les Che?ries Clara Sunny Days is dressed and ready for a day of fun in the sun. This 13-inch fashion doll features brown sleeping eyes, an all-vinyl body, and long, silky red rooted hair that can be brushed and styled. 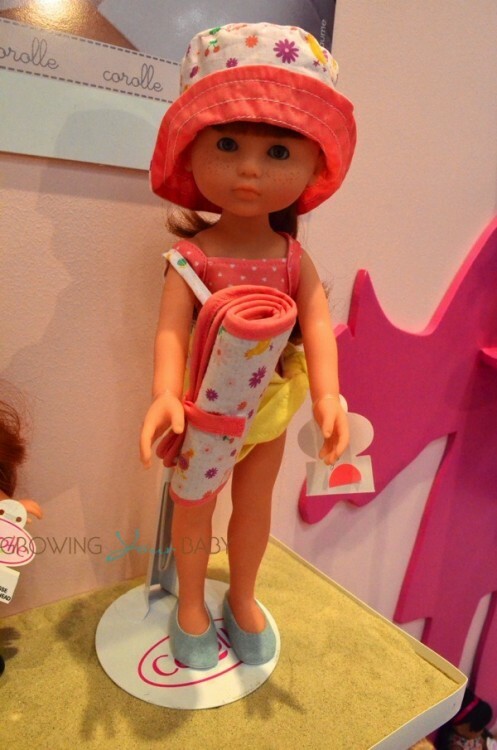 She is the only doll in Corolle’s collection that comes dressed in the sunny day collection. The rest of the pieces need to be purchased separately for existing dolls. Ready for the Opera, Ce?cile (right) is pretty in a bright pink, bow-accented dress under a purple cropped jacket, complemented by sparkling accessories, while Chloe(left) is stylishly dressed for teatime in a pink blouse, collarless grey jacket and accessorized with a tassel-trimmed bag and matching oxford-style shoes. Camille dazzles in an ivory blouse and purple wrap-style skirt, topped with a stylish ivory peplum jacket. 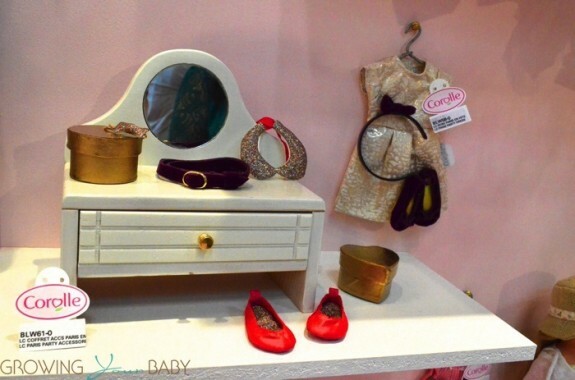 To accompany their Party in Paris collection Corolle has included some cute accessories for the Les Cheries line. This is just a small sampling of what is new at Corolle. There are more images from our tour below! Thank you so much for this amazing round up!!!! So great to see you.